Classical and timeless, this stunning freshwater jewelry set will add lustrous sophistication to your style. 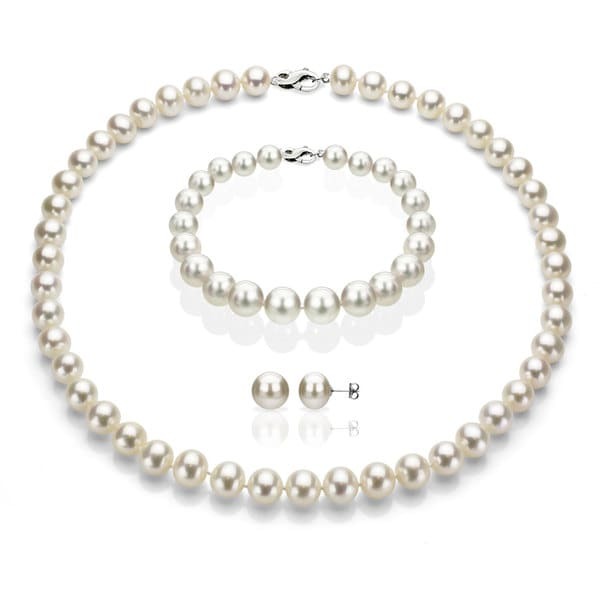 The gorgeous set includes one pair of earrings, one pearl strand bracelet, and one pearl strand necklace, lined with off-round freshwater pearls. Each piece secures with sterling silver clasps, completing the elegant appeal of this beautifully simple set. Pearl strands need to be worn for several hours before they will hang gracefully.